When you're talking about Honda's Helix, you're talking about a two-wheeled adventure into the world of luxury transport. 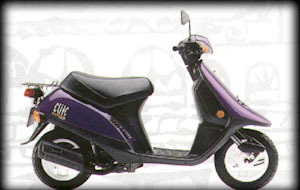 Its powerful 244cc four-stroke liquid-cooled single-cylinder engine cruises the highways effortlessly, there's plenty of room for a passenger, and the spacious trunk lets you take it all with you. 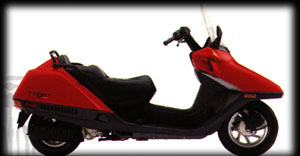 Looking for the most versatile scooter in Honda's already incredibly versatile lineup? Check out the Elite 80. It uses a four-stroke engine and a no-shifting automatic transmission to take you and your lucky passenger just about anyplace you'd like to go. 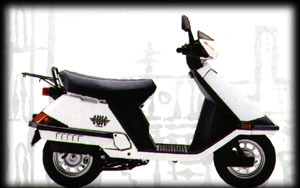 Now here we have quite a handy hauler: It's Honda's Elite 50 SR. A scooter that offers a real difference. Lift up that seat and you'll find a lockable storage trunk that's big enough for your lunch, laundry, or a semester's worth of school books. It's easy to park, and when you do, the trunk gives you a place to store your helmet and gloves, too. 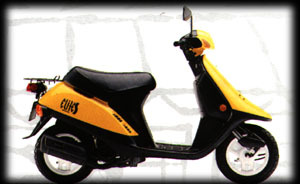 The snappy Elite 50 S offers all of the great features of the Elite 50 SR, but with one important difference: It meets the moped regulations of many states, and that means younger riders can gain their independence in style. See your Honda dealer for details.